Wave Tribe Travel Bag Gets Upgraded – After a few years of research and development we decided to build in some new features into our generation five Global Board Bags. 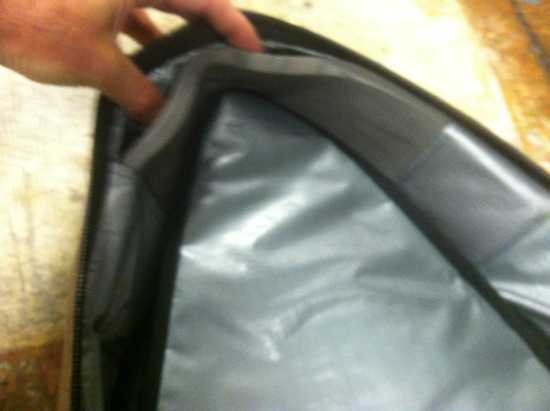 We have added a new interior pocket that makes room for your wax, leash and fins. The new pocket also allows for maximum organization as each pocket has it’s own closure system. But the real big news is the change we have made to the rear and nose sections of the bag. After numerous international surf trips of research and development we’ve engineered a new insert section. Dude, this is so rad. We’ve added an extra half inch of removable protective foam to make sure that your nose and tail remain ding free. 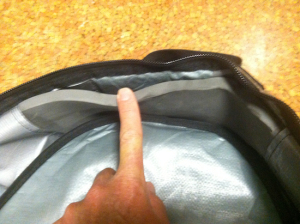 So check it, now you’ve got 13mm of foam in the bag + an additional 13mm inside where it matters most. We made a video for you to review the upgrades—you’ll be stoked for sure.